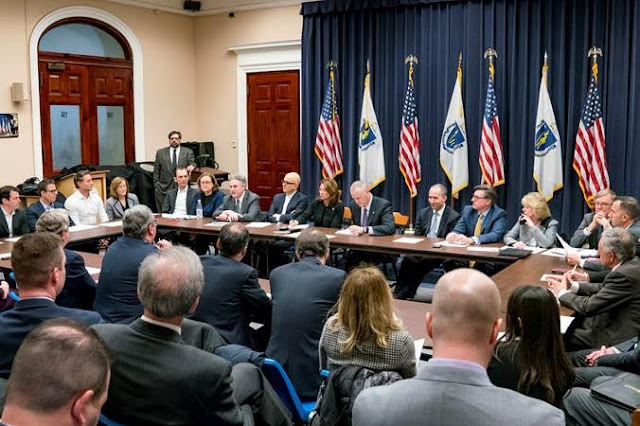 Governor Baker, Lieutenant Governor Polito, Secretary Ash, and members of the business community. BOSTON – Today, Governor Charlie Baker, Lt. Governor Karyn Polito, Housing and Economic Development Secretary Jay Ash and MassHousing Director Chrystal Kornegay met with several Massachusetts business leaders to discuss the Baker-Polito Administration’s comprehensive Housing Choice Initiative to substantially increase housing production across the Commonwealth.